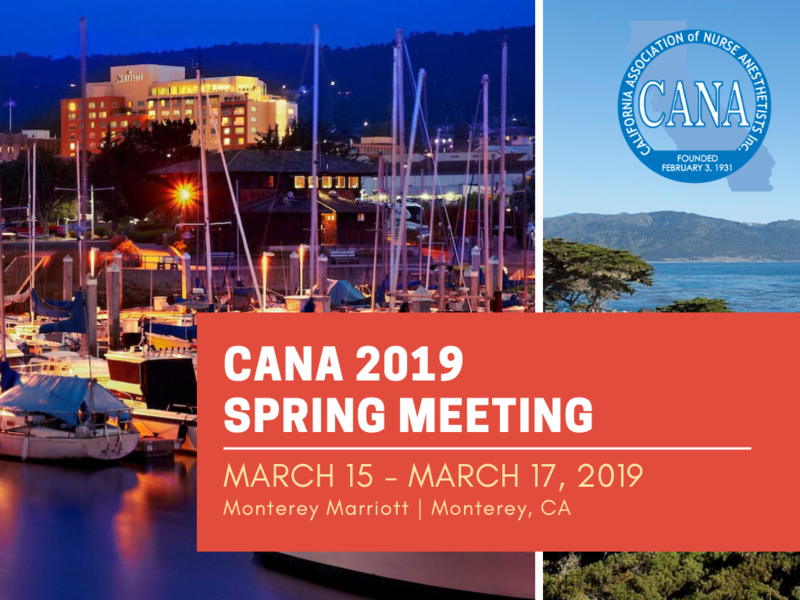 Select this option to sponsor a student to attend the CANA 2019 Spring Meeting. Please either enter the student’s name on your registration form or select the option for CANA to select a student on your behalf. The student’s registration will include access to all sessions and social functions, including the Exhibitor Fair and lunch. The registration fee for SRNAs is $100. If you are unable to attend the CANA meeting or any separate ticketed event, please email your cancellation to cana.manager@gmail.com. 31 days or more prior to event: A $25 transaction fee will be deducted from the cost of the registration/ticket fee; the remainder will be refunded. 16-30 days prior to event: 20% of cost will be deducted from the cost of the registration/ticket fee; remainder will be refunded. 15 or fewer days prior to event: no refund will be provided because the expense of your anticipated participation has already been incurred. All cancellation notices must be emailed to cana.manager@gmail.com. Sign up to advocate for your profession! Win Tickets to Tour the Monterey Bay Aquarium’s NEW Animal Care Center!